If there was a progressive rock encyclopedia, and if it had entry for melancholy melodic progressive rock, Tim Bowness's name and picture would be there. The once No-Man vocalist returns with his fourth studio album, Lost In The Ghost Light. It's done with a core band featuring, among others, Colin Edwin (Porcupine Tree) Bruce Soord (The Pineapple Thief, Katatonia). A bevy of guest artists lend their talents as well, including Kit Watkins (Happy The Man, Camel) and prog legend Ian Anderson (Jethro Tull). Lost In The Ghost Light is also another concept album, "revolving around the onstage and backstage reflections of a fictional "classic" Rock musician in the twilight of his career." Could it be autobiographical? Bowness is only in his Fifties. Much like the last Bowness album I reviewed, 2014's Abandoned Dancehall Dreams, this album finds Bowness in familiar territory. The larger musical context is traditional neo-classical English prog rock. Then Bowness adds overarching tones of ethereal melancholy, whether by the concept, it's lyrical expression, or musical development. There's lots of slight and light synths, symphonic and otherwise, textures of gentle acoustic and electric guitar, and all massaged by a subdued and soothing rhythm section. Overall this is Bowness' lilting voice, which ranges from sad to Spock-like dispassionate. 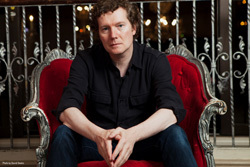 It's a swirl of somber musical melancholy only Tim Bowness can do so well. Yet, having said that, there are two surprisingly, what shall we say, livelier moments within. One comes in the second half of Moonshot Manchild where a brighter guitar solo rises. Also, there's Kill The Pain That's Killing You, where the riffs are a tad stronger, but it's the peppered drumming and vibrant bass that make the song livelier. Maybe Bowness was having an off day with those two. 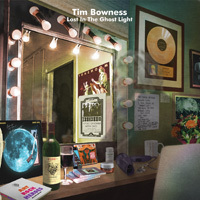 While not exactly my shot of bourbon, Lost In The Ghost Light, both musically and lyrically, is by very definition Tim Bowness and his melancholy progressive rock. If you've liked most everything else he has done, you will like this album, finding the artist to be consistent in his musical style.